Studio of 37m2 in Drc in new residence: Large kitchen open to living room, a bathroom, a toilet and a terrace. A garage completes the property. Sale In Ecully 69130 A town house near the center of the village. Old house consisting of a living room of 46m 2 with fireplace opening onto the garden, a dining room of 21m 2, a game room of 35m 2, a kitchen, 5 bedrooms (between 15m 2 and 24m 2), 2 bathrooms and a bathroom. Shower room, 3 toilets. 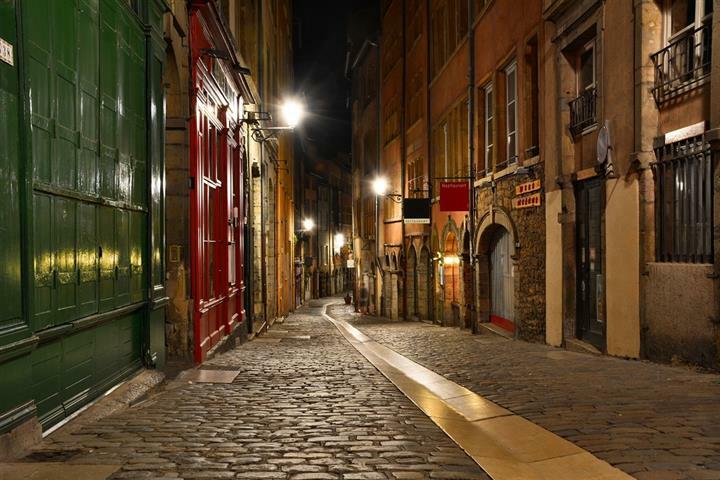 Everyone has heard of Lyon, ancient Gallic capital where the Saône and the Rhône meet, as well as Bellecour Square, the Park of the Tête d'Or, of the Festival of Light and the famous 'bouchons', the restaurants where the 'tabliers de sapeurs' (sappers apron, a gourmet specialty from Lyon) and 'quenelles de brochet' (a dish like a dumpling stew made of pike fish), washed down with a glass of Beaujolais are the delight of everyone. To digest all this, there are the marvelous hiking trails of the Beaujolais and Lyonnais hills. Property in Rhône is varied and the price range is very wide. So, an apartment in Villeurbanne, or a wine grower's house near Villefranche-sur-Saône? If you choose Lyon, would you prefer the Fourvière hilltops, the slopes of the Croix-Rousse, or the banks of the Saône?